The next country to the south of Kenya is Tanzania which is right next to the Indian Ocean. 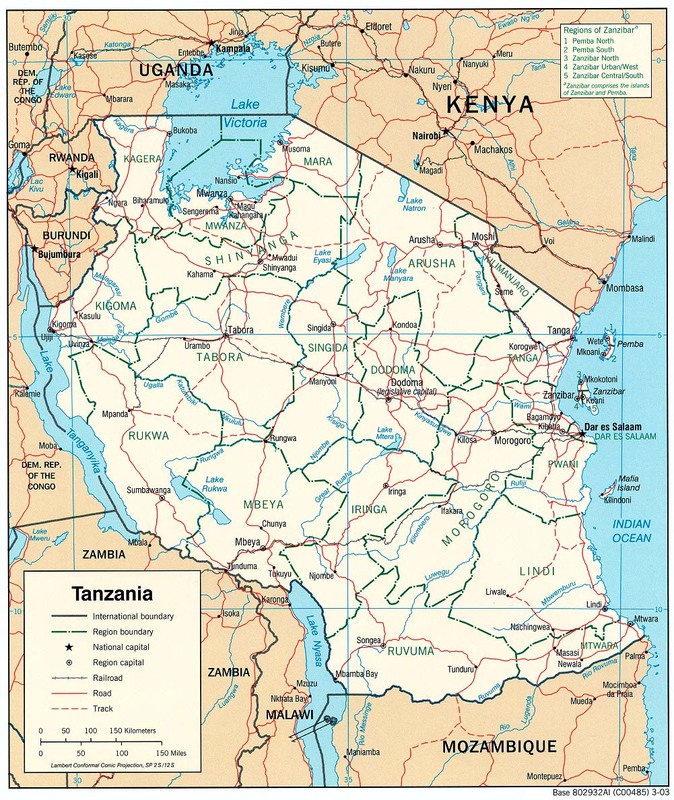 Tanzania also borders Mozambique, Malawi, Zambia, Democratic Republic of the Congo, Burundi, Rwanda and Uganda. The Capital of Tanzania is Dar es Salaam. Mount Kilimanjaro is also located in Tanzania.